Sometimes we forget where we came from, who we are as people, why we’re doing the things that we do and why we feel the way we feel. Christians forget too, but the problem is that we forget who God really is. Even if we have all the right answers. Even if we’re towing the line. This post is really for anyone. If you’re not a believer, if you are a believer, if you know about the “Christian God,” for lack of a better word, or if you don’t know as much. This is where people often start, and I suppose I’ll start here as well. If you don’t see yourself as sinful… well, that’s a pretty common thing actually. I can see why you would think that. Maybe for now, look around you, at the world you’re living in. Do you see injustice? Do you think there’s something wrong with how we “do life?” Is there? I won’t tell you, I’m just asking you. Unfortunately, if we can’t agree that man is sinful, then it is difficult to proceed. But let’s keep the assumption that man is sinful. What then? What are we supposed to do about it? What is sin? How do we stop it? There is a way to answer this question without including God. You can say that we as people can progress towards a more enlightened existence, that is what a lot of people think. But my question is: how? If sin is based on what you think is sin, how will you convince others to stop doing what you think is wrong? What if they don’t think it’s wrong? What makes you right above others, if there is no objective truth? What is to stop people from acting from self-interest? What if jail time is worth breaking the law to some people? Let’s go in a different direction, shall we? Let’s make one more assumption. What goes with assumption #2? That a man named Jesus came into this world oh, around the beginning of the common era, and taught a new and radical way of living. He taught that you should love your enemies and help the poor. He taught that money isn’t important, and he died to show us what is important. Eternal life through the forgiveness of sins. When Moses led the Israelites out of Egypt, the Lord instituted a holiday called Passover. The Passover celebrates how the Israelites were led out of Egypt and how God “passed over” them when he was inflicting punishment on the Egyptians. To this day, Jews celebrate the festival by slaughtering a lamb. Jesus became a Passover lamb for us. He had compassion on us, on our plight and our rut. 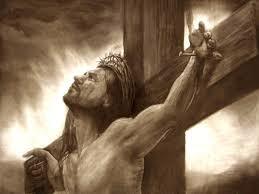 He sacrificed himself so God would pass over us too. If we believe, of course. Belief is where it all begins and ends. Belief engenders love and trust. Belief inspires action. 8 For by grace you have been saved through faith; and this is not your own doing, it is the gift of God— 9 not because of works, lest any man should boast. 21 But now the righteousness of God has been manifested apart from law, although the law and the prophets bear witness to it, 22 the righteousness of God through faith in Jesus Christ for all who believe. For there is no distinction;23 since all have sinned and fall short of the glory of God, 24 they are justified by his grace as a gift, through the redemption which is in Christ Jesus, 25 whom God put forward as an expiation by his blood, to be received by faith. This was to show God’s righteousness, because in his divine forbearance he had passed over former sins; 26 it was to prove at the present time that he himself is righteous and that he justifies him who has faith in Jesus. Lately, I haven’t been feeling the belief as strongly. I’ve been trying to do things. I’ve been trying to move forward, but I keep feeling Satan holding me back. I’ve been introspective, reluctant, and confused. I haven’t laid it all down before the Lord’s throne. I’ve been wondering what I would do without my burdens. I’ve been wondering how much work I would be doing (because, usually, you can’t just sit there and wait for God to move your limbs) and how much credit I would receive if I just let God do everything. But really, it’s so simple that it seems like rocket science. I just have to believe in the Lord Jesus and love Him. I just have to do His work. I just have to become attuned to Him, and when I become attuned to Him, I won’t feel the urge to sin… as strongly. And when I become attuned to Him, I will know what to do. Right? So Jesus said to them, “Because of your unbelief;[a] for assuredly, I say to you, if you have faith as a mustard seed, you will say to this mountain, ‘Move from here to there,’ and it will move; and nothing will be impossible for you. I don’t recall reading this parable in Bible study. Perhaps it’s because it’s a little disturbing. Perhaps I found this a little disturbing because I can relate to it. It’s happened to me before where I’ve felt so wretched, so sinful that I would violently cry and perform strange and self-depricating rites. Although I am persuaded I did not do any of it as sincerely as this woman here. She is aware of how grievous her sins are. She is literally at the feet of Jesus. What a profound image of submission! Jesus extols her for it, defending her before the Pharisee. He forgives her sin. We know something that this woman doesn’t know. We know that our sin is already forgiven thorough the sacrifice of our Lord Jesus Christ. How does that make us feel? Often, we feel nothing. We are numb. We try to pay attention to the words of a hymn we are singing, we try not to yawn. And we tell ourselves what we are feeling, how God is moving us instead of simply feeling and being moved. Sometimes, the Gospel has no meaning for us. It is full of words, words that we have all heard before. We listen to interpretations of these words through sermons or speeches, possibly even films or songs, but still we are turned off somehow. There you have it! it is the Holy Spirit that the Lord is so excited to give to us if we only pray for it! And with the power of the Spirit, we will find our hope and our joy. First of all, prayer does work! Today I’ve been feeling really down. It’s been rather an off-day, or in other words, an anxiety day. But just when I thought I couldn’t feel more lonely, some of my friends? texted me. So maybe somebody does care to some extent. Second of all, I want to talk about forgiveness. I don’t talk about forgiveness very much because I never got stabbed in the back by someone who I thought was my soulmate. However, there is this one girl whom I’ve known for a very long time who always just kind of drifts in and out of my life. She is an enigma. I don’t know how she feels about me- she runs hot and cold. Sometimes she is very bubbly and I really believe that she genuinely likes me and wants to get closer to me. And other times, she seems bored by me, disgusted in the most subtle and unsettling way. It’s kind of a vicious cycle. She reels me in, butters me up, and then throws me back out because she gets busy with her own life, with people who are really worth her time. But she will repeat the process, and I will fall for it again, thinking that this time she is really just trying to be friendly and that she won’t ignore me again. I feel like such a tool. And maybe I take a little advantage of it too. It’s like a sick Christian charity game. She talks to me to alleviate her conscience, maybe to prove to herself that she hasn’t abandoned me. And maybe I talk to her, in turn, to prove that I am not petty and unforgiving. Is this my imagination, or is it real? Does she know about this, or is it entirely subconscious with her? I would be convinced that it is my imagination, if it wasn’t for the fact that I’ve seen her play similar games with other people. Why can’t we just love each other? Why do I have a hard time truly forgiving her? Why do I still have anxiety even though I know that God is with me? I think the answer to the last question is complicated. But let me steer myself out of this territory, and into my main point of bringing up all these entangled problems that consist of my personal life. 21 Then Peter came and said to him, “Lord, if another member of the church[a] sins against me, how often should I forgive? As many as seven times?” 22 Jesus said to him, “Not seven times, but, I tell you, seventy-seven[b] times. Apparently, it’s okay to be a tool. That’s right- it goes against everything that we’ve ever been taught. It just doesn’t feel right. Let’s face it- being a tool is painful. I’m sure you all have more traumatizing experiences than the one with me and my friend. But this girl isn’t, in all technicality, a member of a church. I’m not really in a “church” at all. Can I be loosed from this commandment? Can I leave her a strongly worded “Screw you!” voicemail. Okay, so that last part really wouldn’t be okay in any case, but I think you get my point. Well, at least my rewards are in heaven. Here on this earth I’m everybody’s fool; but at least I know the pain will end and that some good will come out of it. People go through great lengths to make their lives perfect on earth because they don’t have that same consolation. And so, this girl is going to act like she doesn’t even know me pretty soon. But I’ll be there when she decides to catch up over coffee again. I know I will. And hopefully next time around, my heart will at least be closer to God. That’s what Jesus said as He was being crucified. Today I saw the movie “Son of God,” and that was by far my favorite moment. I cried and I’m not ashamed to admit it. God forbid! No, he said, “Father please forgive them.” While He was in excruciating pain, quite literally. Who does that? No one who is not of God. I think it’s just beautiful. From reading the New Testament, we get the impression that we cannot be saved by doing good things. Which is true, of course. No one wants to just follow a bunch of rules anyway. And yet, a little guidance never hurt. For I tell you that unless your righteousness surpasses that of the Pharisees and the teachers of the law, you will certainly not enter the kingdom of heaven. Whoever then annuls one of the least of these commandments, and teaches others to do the same, shall be called least in the kingdom of heaven; but whoever keeps and teaches them, he shall be called great in the kingdom of heaven. I think that probably helped a little bit. I’ve heard it preached before, probably more than once, that true love for Christ will result in obedience. Therefore, we must obey. But what does that mean? Do we need to have more good deeds and less bad deeds tallied up than the Pharisees? I think it’s important to address that the Pharisees were bound by different laws than modern Christians, because much of our doctrine is based on the teachings of Jesus, the same one who got mad at Pharisees frequently. The important question lingers… are we required to do good? I can’t really answer yes. You know what happens when I say yes- I sound like some kind of pre-destination whacko type who harasses teens for dancing. And you know what happens when I say no- I sound like the anything-goes-as-long-as-your-heart-is-in-the-right-place-spiritually type. And if I say yes and no, then I have portrayed Christianity as an impossible paradox. So I will omit an answer. I don’t need to answer this question, God already has. Paul has written pages and pages on this topic. I think that implies that it’s hard to answer the question in a couple sentences. But here is what I will say. You can be saved through the love, mercy, and sacrifice of Christ. It’s not because you saved a toddler from a burning building (although if you really did that, I must admit that’s pretty awesome). Is this hard? Uh… yeah. That’s why we have to ask for God’s help. Christ fulfilled the law, making it a bit more comprehensive, but also giving us the forgiveness, love, and aid that we need that we need to do His will. Now all nations will know about God. No more burnt offering and wars- but now our task is to “make disciples of all nations” (Matthew 28:19-20).